If you are tired of walking to class or simply craving some two-wheeled transportation, the Sonoma State Campus Recreation Center may soon have a solution to your problem. The center is in the process of creating a new program that will allow students to rent bikes for an entire semester for a mere $40. Guinn has been the Sustainability Coordinator for Sonoma State University for over two years. A bike rental program has always been a long-term goal of hers. She said the program has been kicked-started with the help of a $1,500 grant from the California State Students Association’s Greenovation fund. The program is still in the planning stages, as a team works to get it running. The bikes must be purchased by May, per the grant, but the plan is to buy them before that deadline. Many aspects of the program still need to be figured out before it can be instituted. “I’ve drafted a rental agreement, we’re finalizing a storage space and discussing the lowest possible pricing,” Guinn said. Employees from Campus Recreation, Outdoor Rescources and Adventure Programs are working together with a local bike company, Mike’s Bikes, to determine which bikes will best serve a diverse user group. The rental program will be semester-long because a daily program would require substantially more staffing. “I think we are hoping to get the program to that point, if it’s a success and students want it. But just for the sake of getting this thing going, we are going to start with semesterly and work out the infrastructure needs of making more frequent rentals possible,” Guinn said. The California State Student Association’s Greenovation Fund awards grants for student-led sustainability projects, totaling $15,000 each year. The $1,500 awarded to Sonoma State for this project comes under the condition that Campus Rec will also provide funds to start up the project. “We hope that this program is the beginning of a shift from commuter culture to active transportation at Sonoma State,” Guinn said. Thirty-seven percent of undergraduates live on campus at Sonoma State. 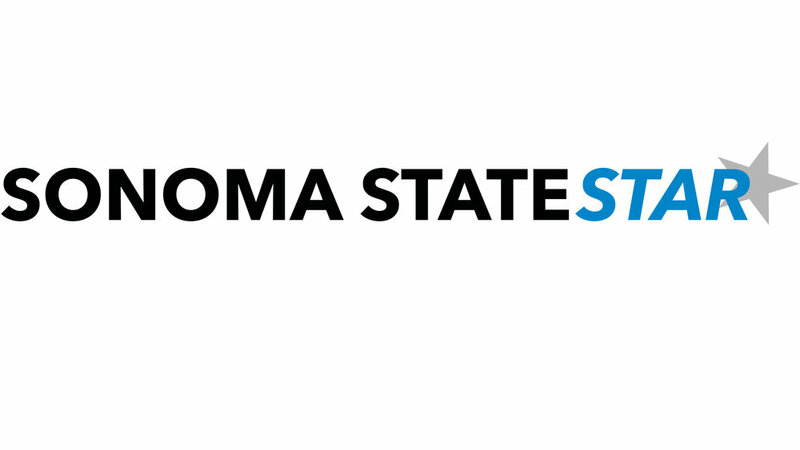 Students at Sonoma State had mostly positive things to say about the future program. “I think it’s a great idea, because students already use bikes or they use skateboards to get around. It’s a good opportunity for those who can’t afford to buy one themselves to rent one,” said sophomore Humberto Chavez Molla. Molla said he commutes to Sonoma State, so he will not be renting a bike, but thinks it is great for those who live close by. Not all were positive about the program, however. Lexi Phan, a second-year student who lives in the dorms, is skeptical of the need for a such a program at Sonoma State. “I just feel like our campus is pretty small, I wouldn’t think that a lot of students would need it, unless they’re commuting by bike from a neighborhood next door,” said Phan. She also raised questions about the program’s viability. “How would you be keeping track of the bikes? What if it got stolen?” she said. The start date of the program has not been set.